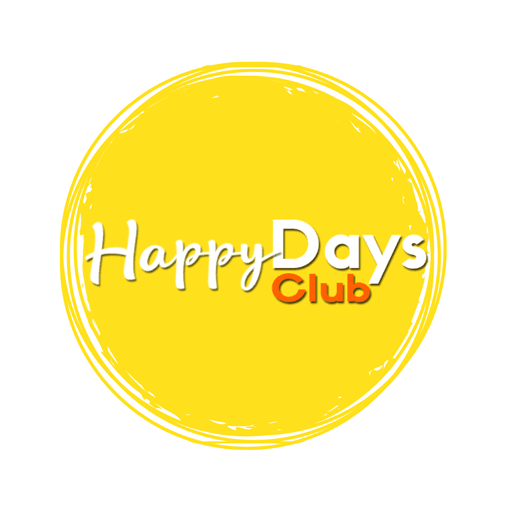 How to achieve the ultimate summer #OOTD? 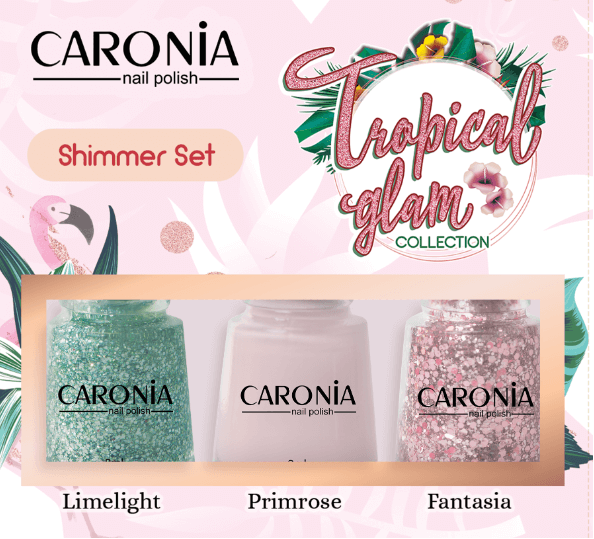 Make your nails as colorful as the summer season with Caronia’s sparkly Tropical Glam Collection! 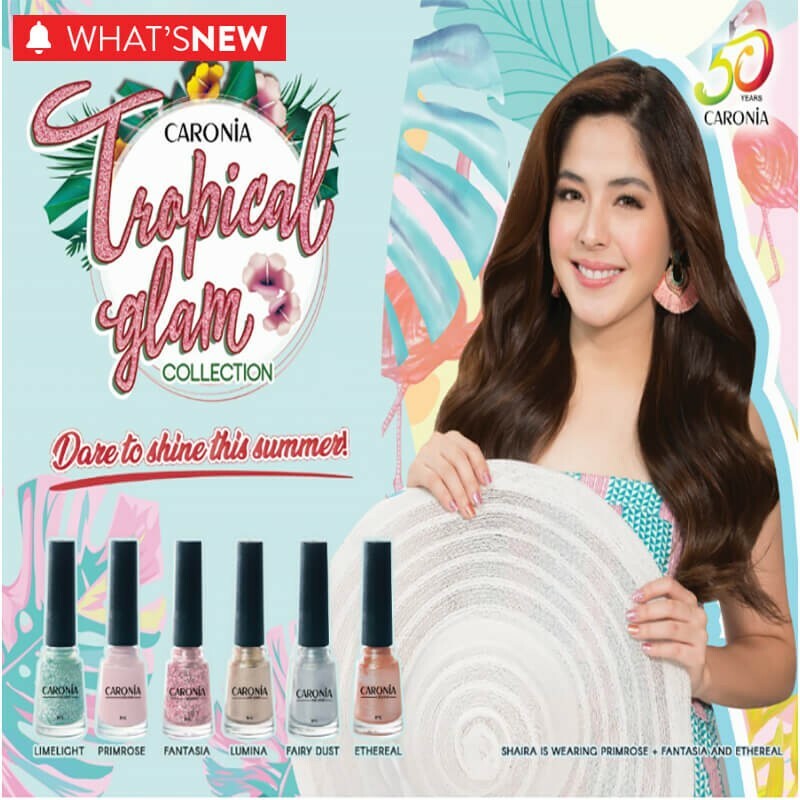 Caronia, a brand known for prettifying the nails of Filipina women for more than 50 years now, launches a new summer collection called “Tropical Glam,” which features fresh and shimmering light-colored polishes that exude the fun in summer. 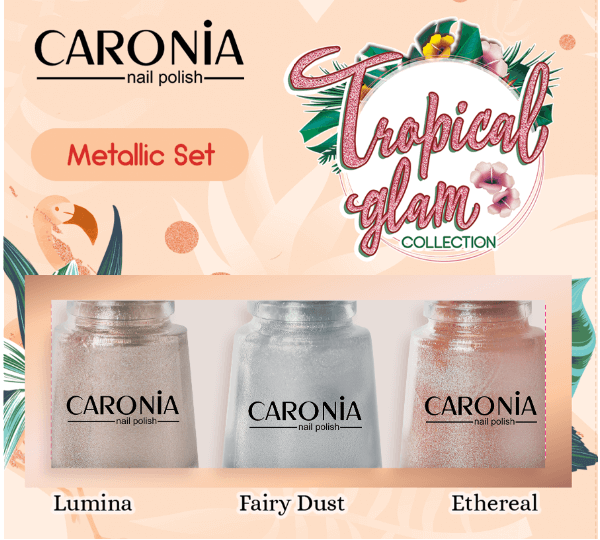 The Tropical Glam collection has six trendy and glamorous colors in two collection packs – the Tropical Glam Shimmer set and the Tropical Glam Metallic set that girls can choose from. Limelight is a glittery ocean green shade and, just like the ocean, it sparkles in the sun. Primrose is perfect for a rustic summer feel with baby pink hue in matte finish, while Fantasia is a glittery darker pink shade that sparkles with any outfit. Lumina has a light gold shimmer that perfectly gives off that earthy summer vibe. Fairy Dust is a metallic silver like the sparkling waves of the sea, and Ethereal is a shimmering deep rose gold that blends well with any outdoor summer activity. 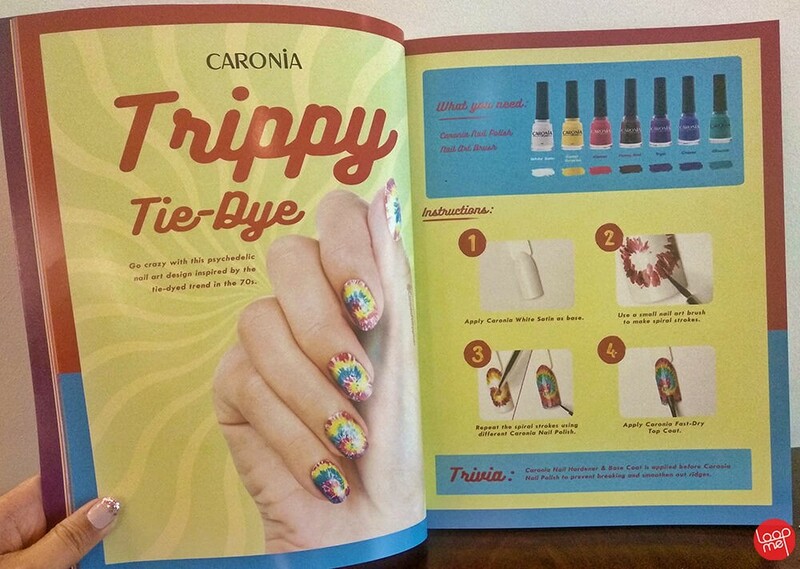 For more information and inquiries, visit Caronia’s Facebook page.